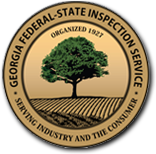 GA FSIS provides software that is used to capture weights, collect data and record factors to grade a variety of commodities. Through the development and use of our software, we provide producers with efficient and accurate documentation on official USDA certificates of inspection for marketing their products. We are proud of our software and continually update it as technology and hardware evolves. It is because of our organization's commitment to producing quality software and our pride in what we do each day, that we believe our software is the best available. By being able to produce consistent results, we are able to look the producer in the face and know that impartial and unbiased facts have been determined rendering the quality and/or condition of their commodity. The eTDE system was designed to make trade documents available electronically through the Internet to facilitate the domestic and international movement of U.S. agricultural products. It provides users with the ability to access commodity-related trade documents as PDFs and document data as XML files. The service is securely hosted by the U.S. Department of Agriculture, Agricultural Marketing Service (USDA, AMS) and is restricted through the use of secure access that is validated by the USDA's eAuthentication service. GA FSIS software integrates the ability to provide direct feeds to the eTDE system. FARMERS' STOCK: Peanut season is the busiest time of year for everyone at GA FSIS. It's that time of year when everyone is as busy as they can be and are working to get the year's crop graded so that the farmers can move it to the market. Our Farmers' Stock software is the electronic solution to manually recording data at peanut buying points. The software helps make the grading procedure much more efficient and less susceptible to human error. Data transfer is simplified due to a distributed database design that allows our central office to receive grading data daily. FARMERS' STOCK AT THE SCALES: Our Farmers' Stock at the Scales software was developed at the specific request of the industry. They needed a way to integrate the data coming from the truck scales directly into our software to help make their process more efficient and make their data more readily accessible. Our solution was Farmers' Stock at the Scales. The software is offered at no cost as an enhancement to a buying point. This software is documented with step-by-step instructions on implementation and use. It is not required in order to operate a buying point using our Farmers' Stock software, but can make the operation much more efficient when used. MILLED PEANUTS: The grading process in a peanut shelling plant is much different than it is at peanut buying points. As a result, the software used must be much different as well. Our Milled Peanut software was designed to meet this need. One big advantage of the newest version of the Milled Peanut software is that it incudes the option for applicants (shelling plant owners/operators) to access inspection data in real time. This can be a great asset when inventory and production are each closely monitored and controlled. This software also supports eTDE integration as an optional feature that is easily implemented where needed. ONIONS: One of the most tedious tasks in grading/inspecting onions is recording the data. The arduous task of manually recording the grading data in the midst of the performing the grading process itself throughout the course of a day can be quite burdensome. Our Onion software provides a way of electronically recording the data rather than the old way of writing down the data. It is much quicker, more reliable and secure, and the resulting data is easier to transmit to our central office. The grading process is different for Market Inspection onions when compared to Domestic onions. As a result, our software supports the different methods and procedures with screens and data fields that match the inspector's procedures in each case. PECANS: Every commodity has its own unique procedures that are required in order to be able to properly inspect and grade it. Pecans are no different. Our Pecan software is designed to be operated from a laptop or netbook and is easily and quickly set up each day where needed. Data transfer can be performed immediately through cellular-enabled internet connectivity and is often performed on-site except in cases where cellular signals are weak in which case, the software allows for easy data transfer at a later time. The software incorporates billing by allowing the inspector to include allowances for travel, overtime, etc.